A key part of any building project – no matter the size or sector – is water management. The UK is well known for its rainfall and planning for downpours is essential in any new development. 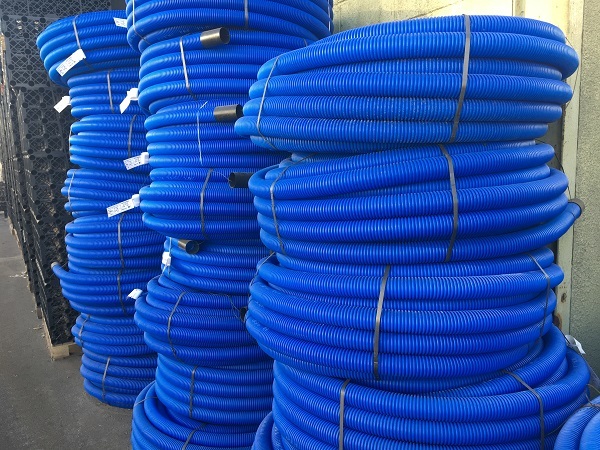 We are on hand to help ensure your scheme has a robust plan in place to deal with rain water, and minimise flood risk, by providing the right product for your specification. We stock a wide range of geotextiles, the ideal material for water management and SUDS systems. Geotextiles imitate natural drainage by allowing rainwater to soak away from the surface where it falls and, unlike traditional pipe drainage, does not get overloaded during heavy and prolonged downpours. The geotextiles we supply require no specialist tools or training to install and less time is needed on excavation to lay them – making them perfect for attenuation and an ideal solution when working in urban environments. From our depots in Essex, Milton Keynes and Wales we are able to provide attenuation tanks with comprehensive installation packages available. Our tanks feature welded membrane systems and are made on-site in factory conditions. 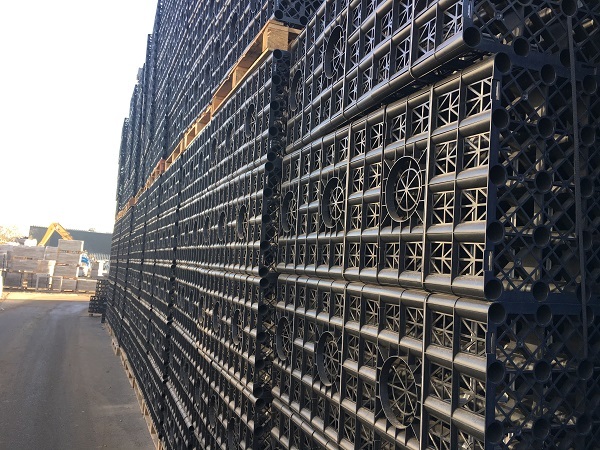 We also supply a wide range of permeable paving, which provide an attractive surface drainage system, along with the necessary accessories such as jointing and double sided tape. Our team is always on hand to help advise you about the best water management options for your project. To find out more about our ranges of permeable paving and geotextiles please get in touch using the form below, and we will get back to you as soon as possible.